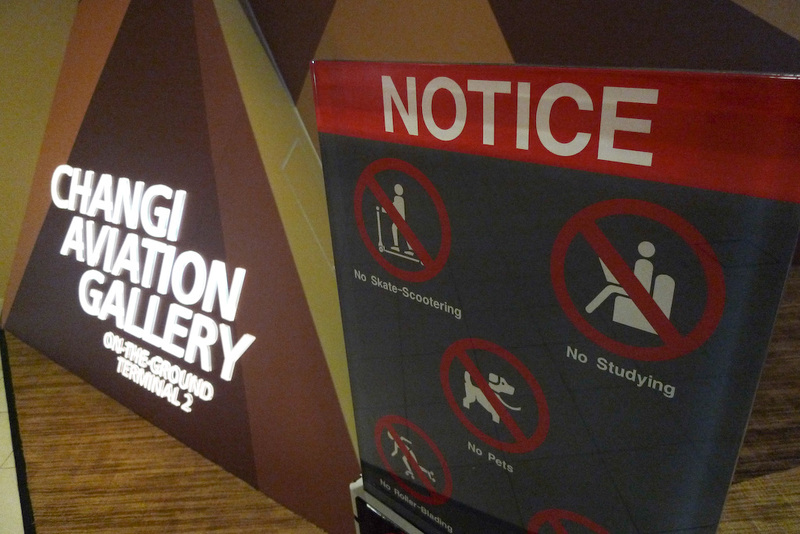 Tourists arriving at Singapore are often greeted at the airport by teenagers… … studying. 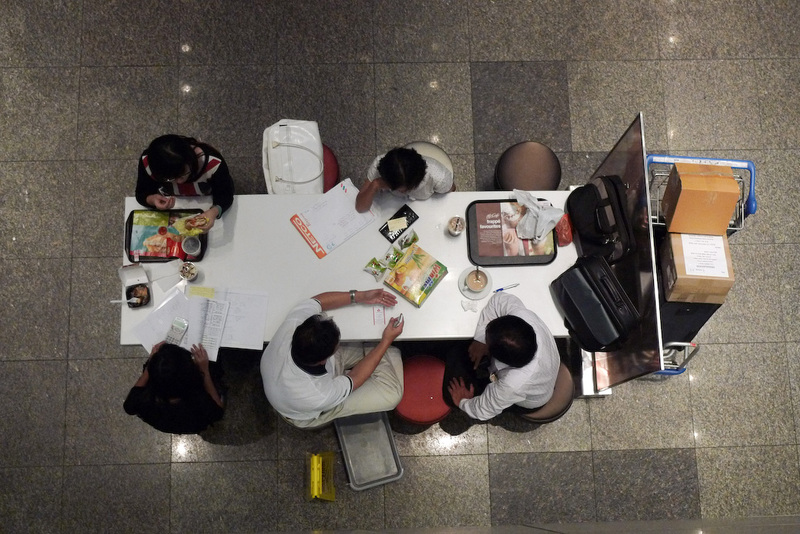 Whether it is at the aviation gallery, eateries like McDonalds, or empty corners of the airport, Changi Airport is home to students looking for somewhere quiet and comfortable to hit the books. As part of Professor Thomas Kong’s ‘ZERO’ project, I had the chance to do some fieldwork on this phenomenon. 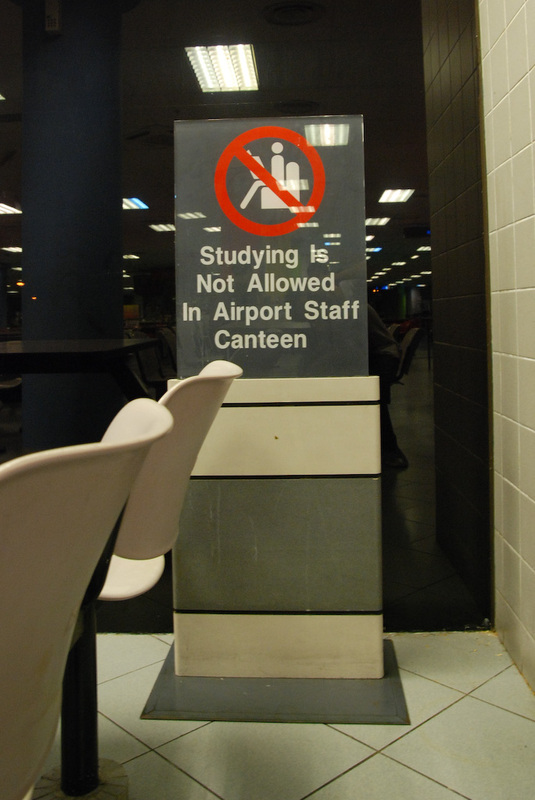 Students mainly come to the airport in groups to study on weekends when the schools are not open. During the weekends, the house is full of distractions because it is bustling with people as parents are not at work. Moreover, there is also the television and the computer. Thus, many students choose to study outside. The airport is a big draw because it is quiet and air-conditioned. It is also very easy to get too — just a bus or train ride away. 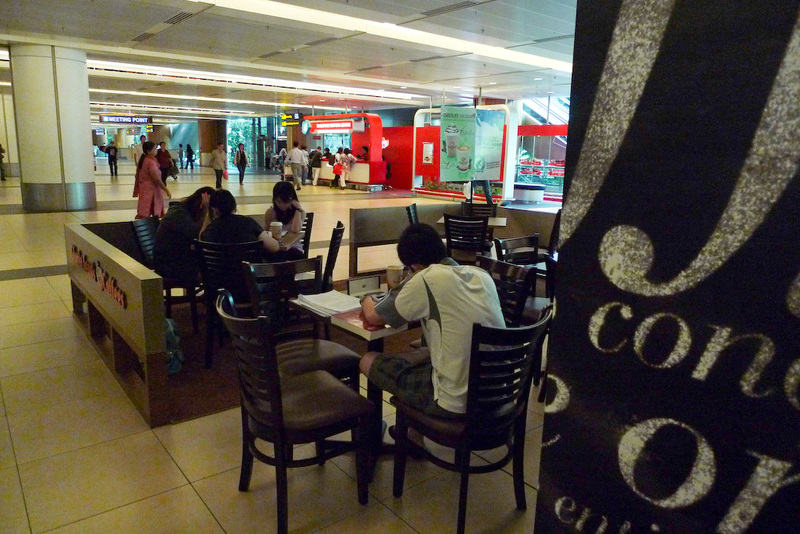 The airport also has many popular youth hangouts like McDonalds and Coffee Bean or cheap places like a canteen or foodcourt. And, while there are also air-conditioned eateries around their estates, those are usually packed with people, unlike the airport, which is big enough to accommodate them. As you can see, some of the spaces ban studying outright. 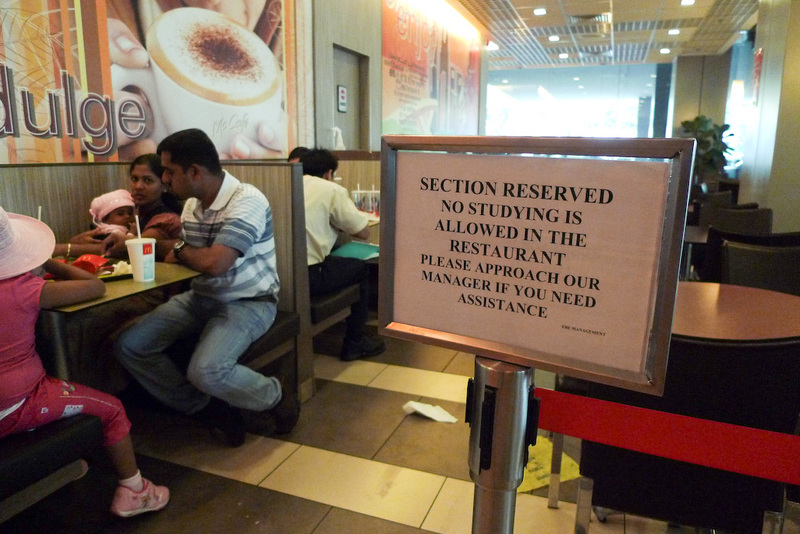 Others reserve sections or allow studying only at certain times of the day. The students I spoke to all had an experience of being chased away at these spaces. 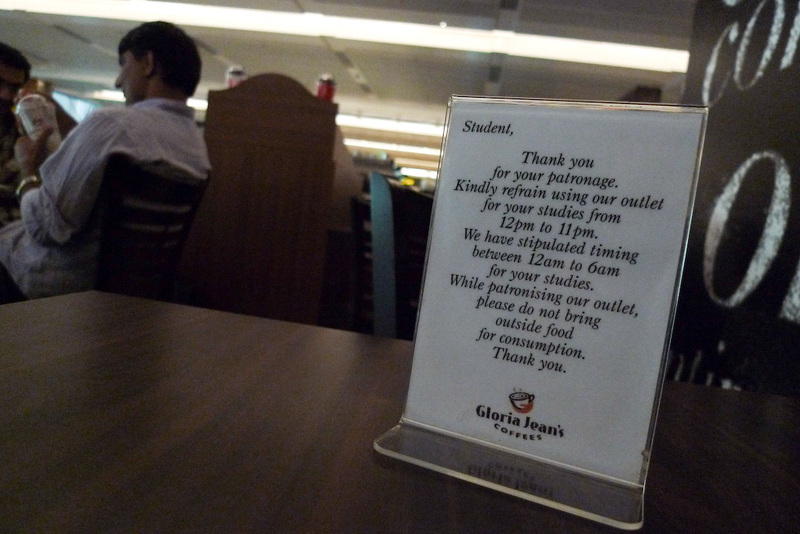 Some were told to keep their studying materials, some told to give up their seats to others during lunchtime, while others were told that certain seats were reserved for tourists. 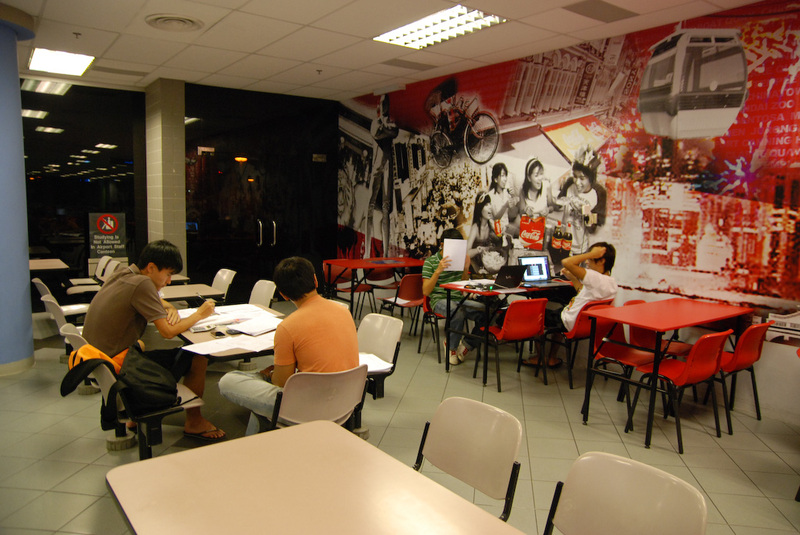 Often, instead of giving up their seats, the students stop studying and buy food and drinks and chat with their friends instead. By and large, however, they have been left alone. While exploring the nooks and crannies of the airport I also discovered some students practicing their dance moves at the basement of Terminal 3. 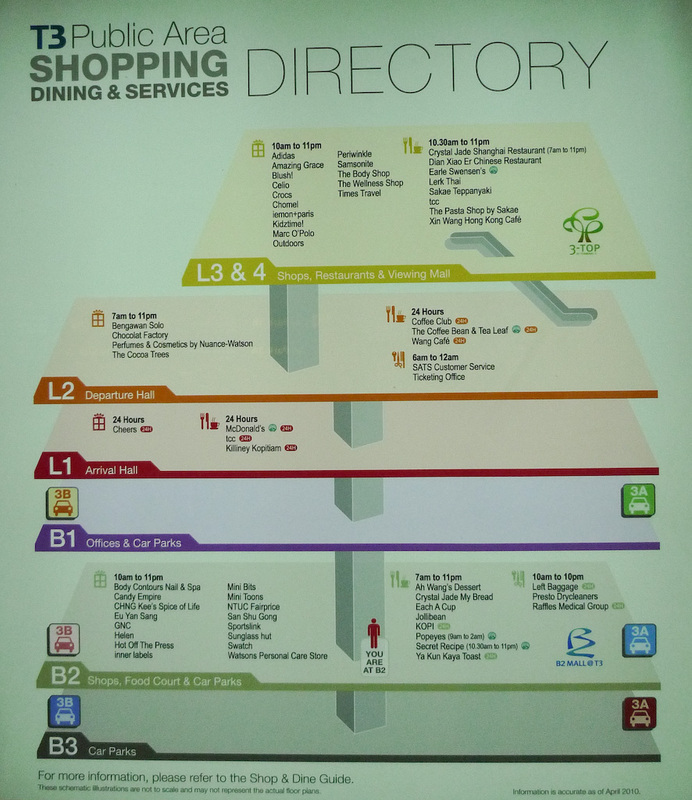 As you can see from the directory, B3 is just an empty space. “This is nowhere. It just leads to the carpark,” one of the dancers told me. The two girls on the left are facing the lifts, using the reflections on the glass doors to check out their moves. The couple lying on the floor are from a dance crew that come to this space regularly to practice instead of renting studio space. I’m not sure if other airports around the world have been ‘reclaimed’ by youths to be used in such ways. The airport in Singapore was clearly not built for such uses, but it being air-conditioned and large has incidentally made it attractive for students seeking studying spaces. The students are also encouraged to come to the airport because it is easy to get to. 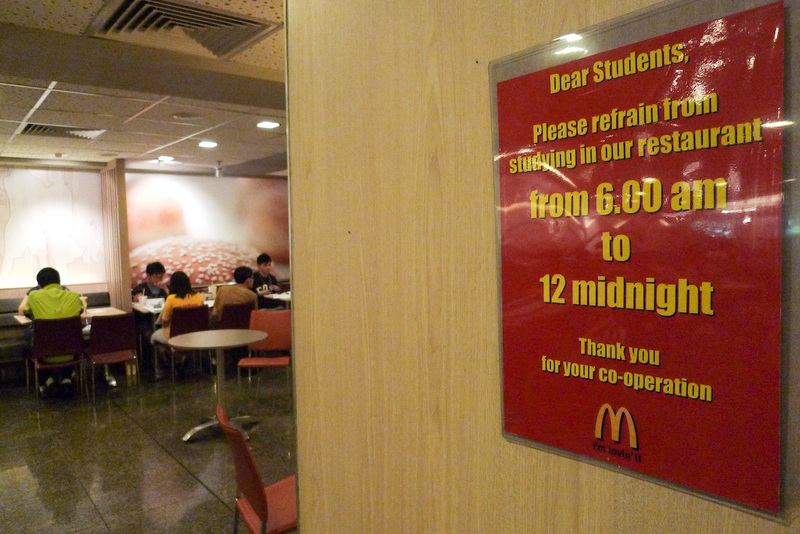 Most importantly, despite the signage, the students have by and large been allowed to continue their activities. Besides, what better impression to leave our tourists leaving or entering Singapore than to showcase our future generation working and playing hard? Hi, are you alright for me to contact you to have a feedback on the project or some sort. its for a school assignment.